This post is sponsored by InComm. As always all opinions are my own. Every single year my kids get excited about the magic of the season our sneaky little elves create. 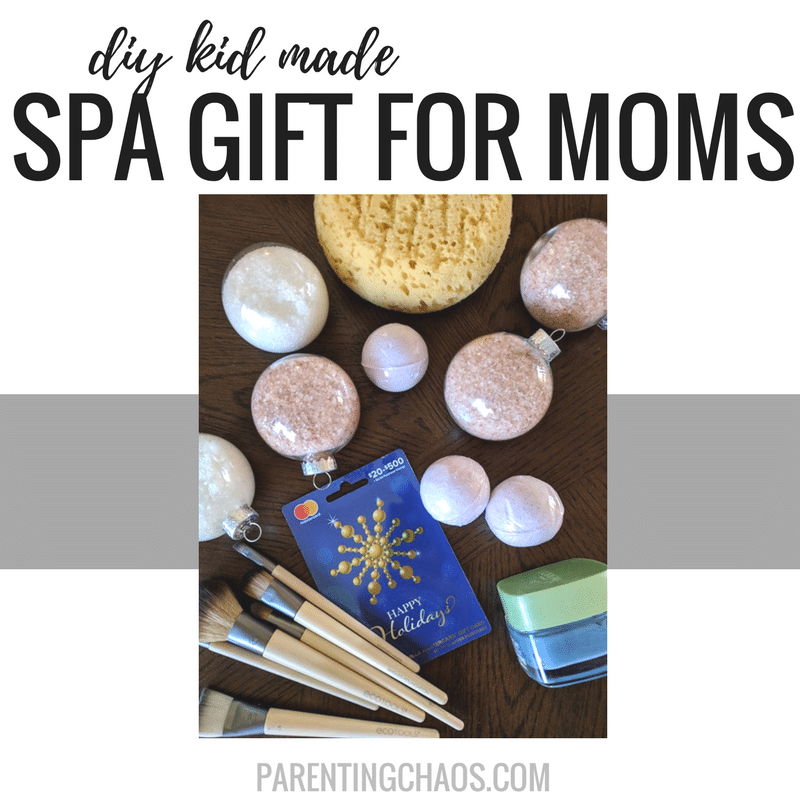 You are a Mom, you know – it isn’t those pesky little elves creating all the magic 😉 This simple DIY Spa Kit is an easy way that kids (hint hint Dads 😉 can pamper their Moms over the Christmas holiday). One of the most wonderful gifts one can give a Mom, and anyone really is the reminder to take care and be kind to themselves. 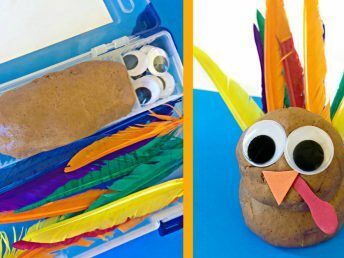 With that in mind, here is a magical and relaxing easy gift kids and dads and make to help Mom relax and take care of herself. 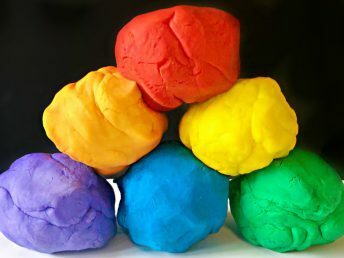 Easy Bath Salt Ornaments for Mom that Kids and Dads can make! 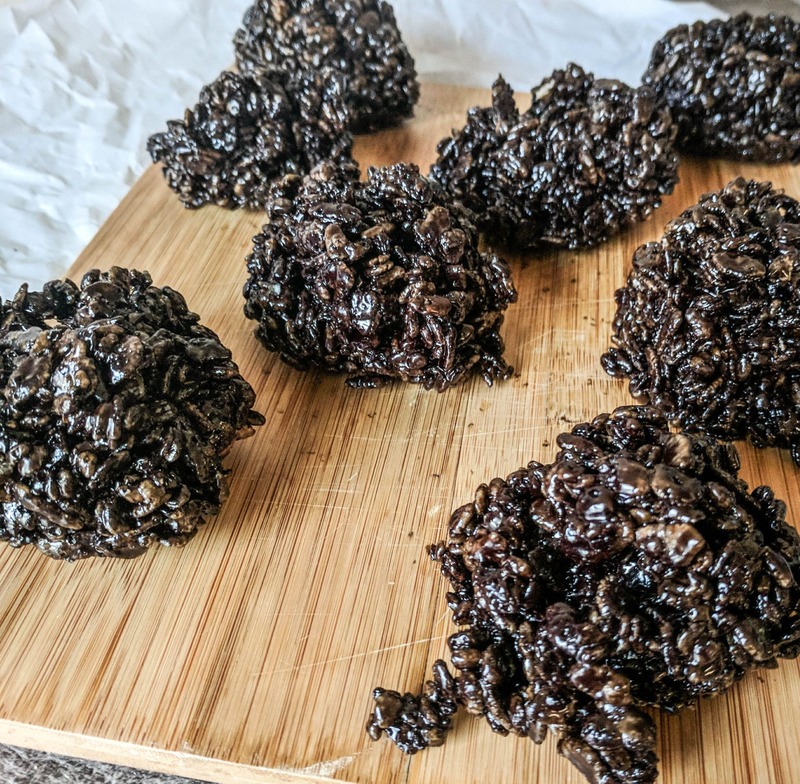 Making these is as easy as mixing the essential oils of your choice with the bath salts of your choice. For ours, we put 2-3 drops of essential oils per 1 cup of bath salts. 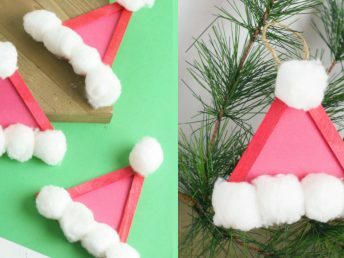 Then simply use a piece of paper rolled up as a funnel to fill your ornaments. Easy peasy! One of the great things about this gift is that all these things were easy to pick up at Walmart. Giving the list to the kids made the trip more fun and had them focused on Mom rather than all their own wants. Helping kids be thoughtful gifters is a gift we give them as well. The kids actually love to be helpful and love to give and this is a special chance to let their inner light shine. The delight kids have about making and giving gifts is pure joy. It builds confidence and memories to last a lifetime. 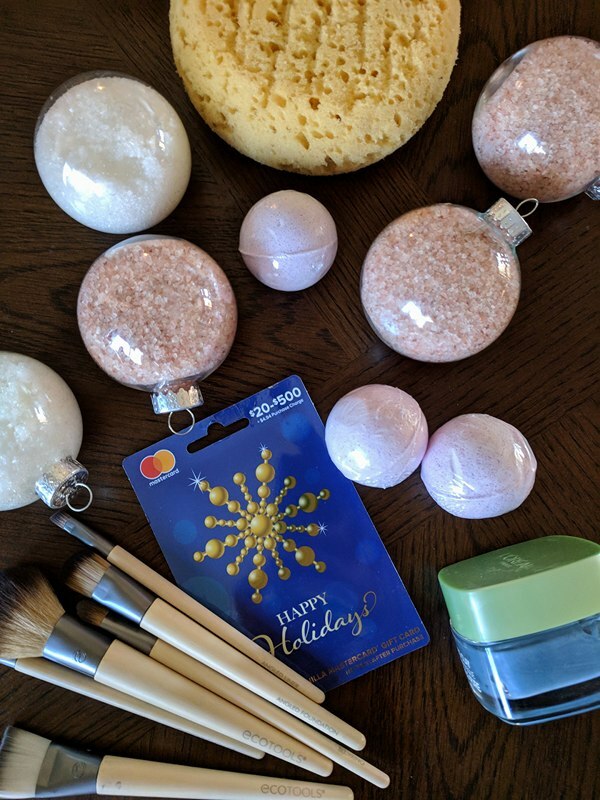 The bath salt ingredients were easy to pick up in the cosmetic section and the clear ornaments were in the new Holiday section. 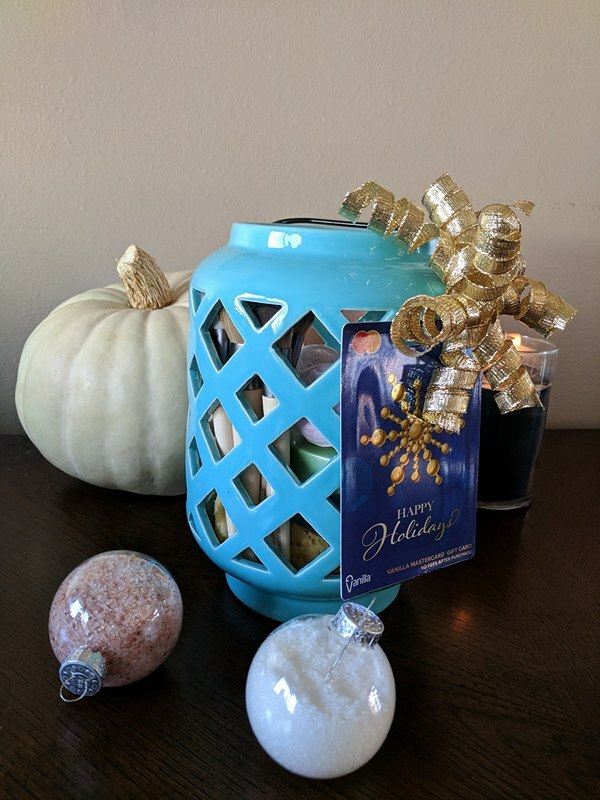 Hurricane glasses are one of my favorite ways to wrap gifts because they are beautiful, eco-friendly, and something that will bring a smile to the gift receiver everytime they see it. While going to check out the kids picked out an adorable gift card. 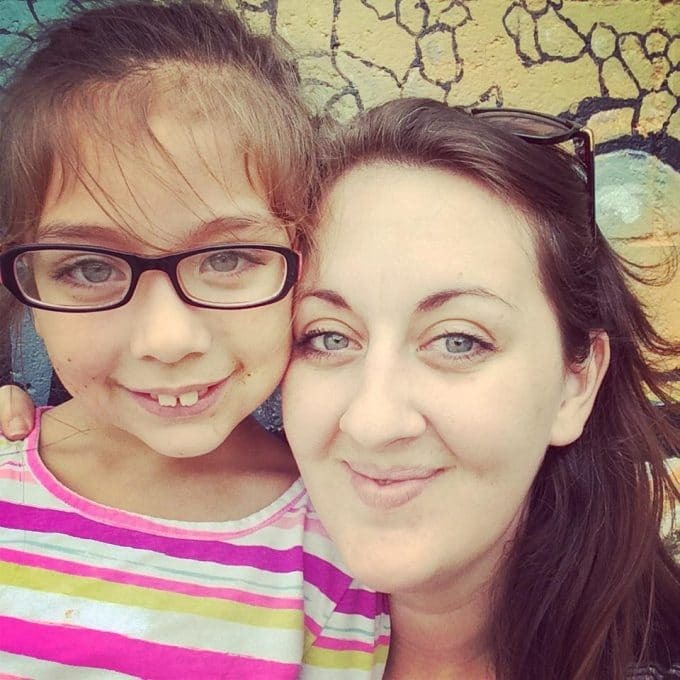 Most Mom’s I know tend to forget themselves. Adding a gift card into the gift such as this is a gentle way to remind a Mom that it is ok to put herself first instead of spending all of her money on her kids during the holiday. Self-care is finally all the rage this year as people come to the understanding that we need to take care of ourselves, that we are actually important, and our care is in our own hands. 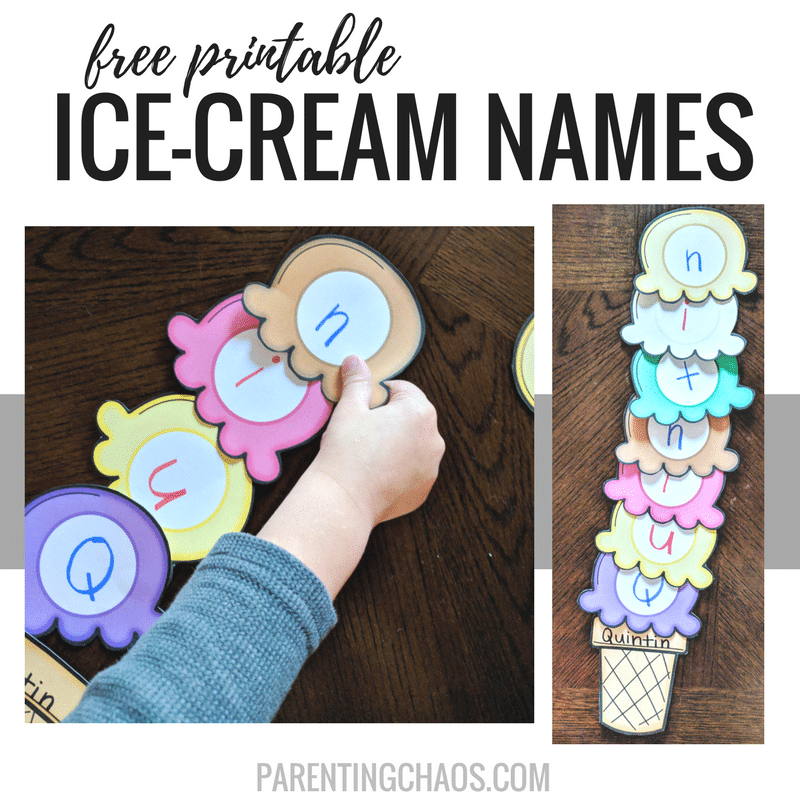 You are saving Christmas with this easy DIY gift for Mom! 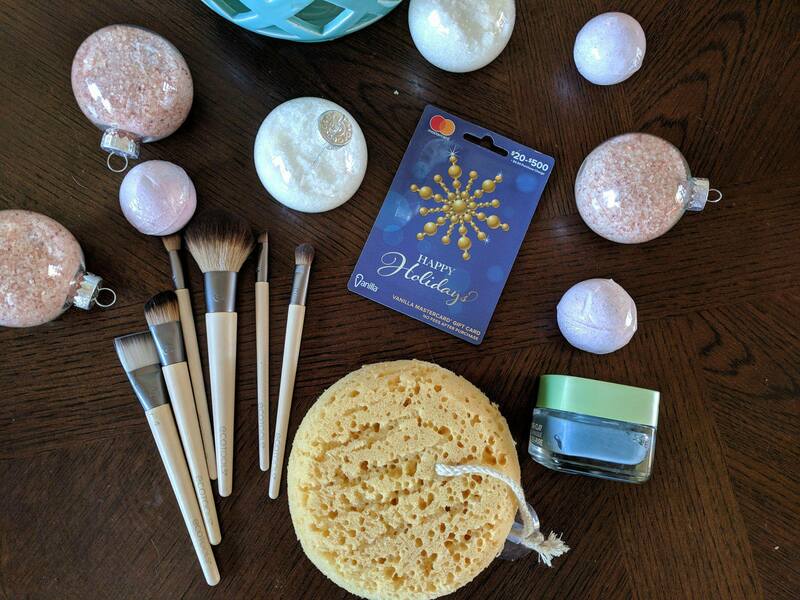 Another cute idea might be hanging bath salt ornaments from the tree and sticking her gift card on her holiday sock! 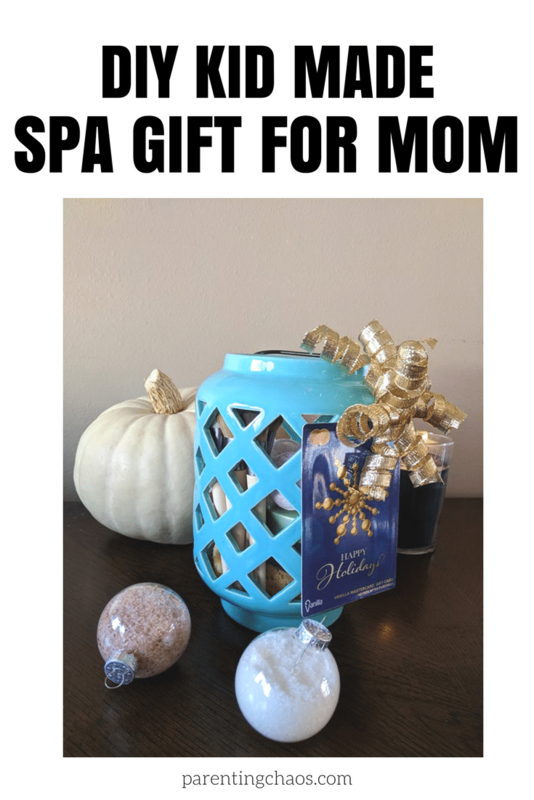 This might be an Early gift for Mom and as the holidays get stressful she can pluck a ball from the tree and sneak away while Dad watches the littles to take a well deserved and relaxing spa bath! This is not to leave Dads out, for amazing Dads also make the world go round! Of course, Dads can love spa gifts too! Spa gifts help everyone relax and unwind during this crazy season. When we are well rested, and recharged, we can give more of ourselves to our loved ones and make the magic happen. Helping a parent find joyful calm is basically like helping Santa run the north pole! Making a gift to pamper Mom doesn’t have to be elaborate or complicated! 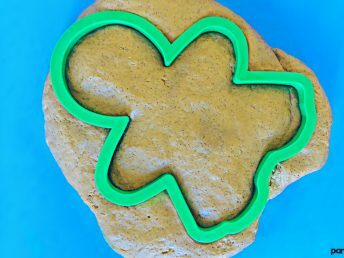 This easy gift that kids and dads can make for Mom is one that is sure to make her smile!